You may still be able to book by calling the hotel at 214-761-0000. 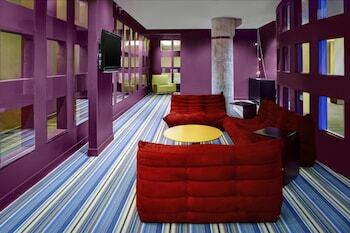 An Aloft hotel is like the younger sibling a of W hotel - fresh, young, and just as hip. 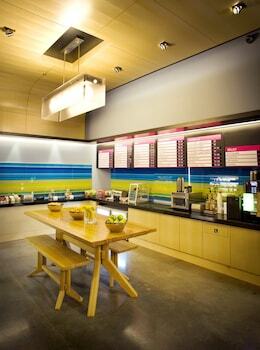 Well, the Aloft Dallas Downtown may not be Grandma's cup of tea, but it sure makes for a fun stay. 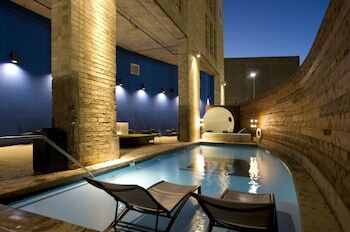 As a converted warehouse, the Aloft Dallas retains some of its roots in exposed brick walls, uncovered pipes, and concrete beams. You won't want to spend much time in your room though, especially when you can chill with the homies (fellow guests) at re:mix, the hotel's communal lounge complete with pool table, board games and giant LCD TVs. 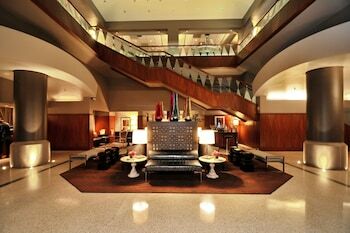 If you've got places to be or people to see, you'll certainly appreciate that this hotel is close to City Hall, the Dallas Convention Center, and mere minutes to the American Airlines Center. 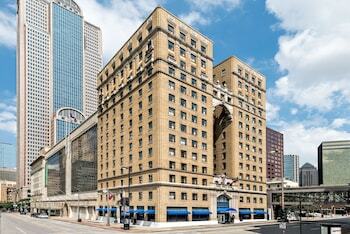 Aloft Dallas Downtown is a 3-star hotel located at 1033 Young Street, Dallas, TX 75202, US . Its nightly price usually falls between $109 per night and $489 per night, excluding tax, depending on room category. 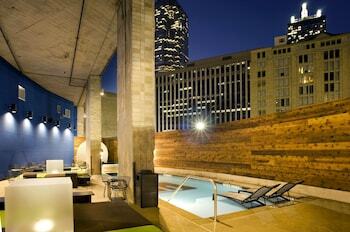 At Aloft Dallas Downtown, AAA members often get 7.2-13% off the regular rate. For example, on November 22, 2018, a AAA rate of $101.15 per night was offered - a 7.2% discount from the next-lowest rate. Depending on your itinerary, your savings can be more than the annual AAA membership fee itself! Many Room 77 users are able to pay for their entire AAA membership in a single stay. 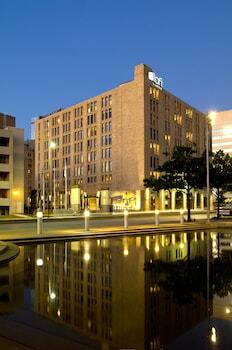 At Aloft Dallas Downtown, seniors often get 7.3-10% off the regular rate. For example, on November 22, 2018, a senior rate of $101 per night was offered - a 7.3% discount from the next-lowest rate. $109 per night found for a ACCESSIBLE KING King Bed Flex2 room type. For November 22, 2018, a special AAA rate of $101.15 per night was found for the 1 King :AAA/CAA Rate - Aloft Room Non-Smoking: Free High-Speed - Internet: 42 Inch Flat Screen Lcd Tv: room type. For December 21, 2018, a special Senior rate of $101 per night was found for the Marriott Senior Discount, 62 Years and Older - Valid ID Required, Aloft, Guest Room, 1 King room type. 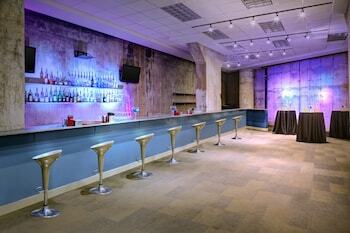 Aloft Dallas Downtown sells rooms through sites like Room 77, Expedia, Hotels.com, GetARoom, and many others. Room 77 searches across dozens of different sites to find the lowest discount rates available. The lowest rate we've seen over the last few weeks was found on Room 77. In 1% of the cases we surveyed, all sites offered the same rate. You can compare real-time rates from all of these sites on Room 77. Room 77 is the only hotel shopping site that includes special discounts like AAA, senior, government, military, and corporate rates.